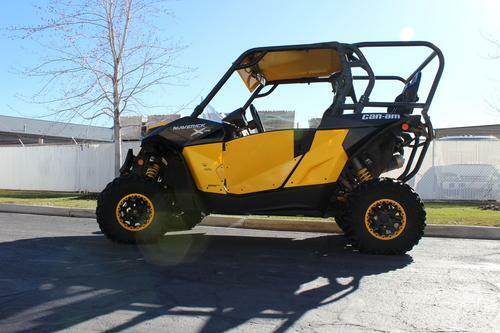 2017+ CAN-AM MAVERICK X3 stänkskydds kit. Det finns många namn på samma sak; stänklappar /stänkskärmar / fenderextensions m.fl. Tillverkade med hjälp av CNC fräsar. Stänkskydden tillverkas av en unik blandning av polymerer vilket ger stänkskydden de specifika egenskaper som gör dem mycket effektiva när det gäller att skydda din utv. Speciellt kombinationen av extrem hållbarhet, flexibilitet, lättvikt och styvhet. Skyddar dig från stensprut och stylar din UTV. Den får ett aggressivare utseende och du har en mängd olika färger att välja mellan. Tveka inte att höra av er om ni har några frågor. 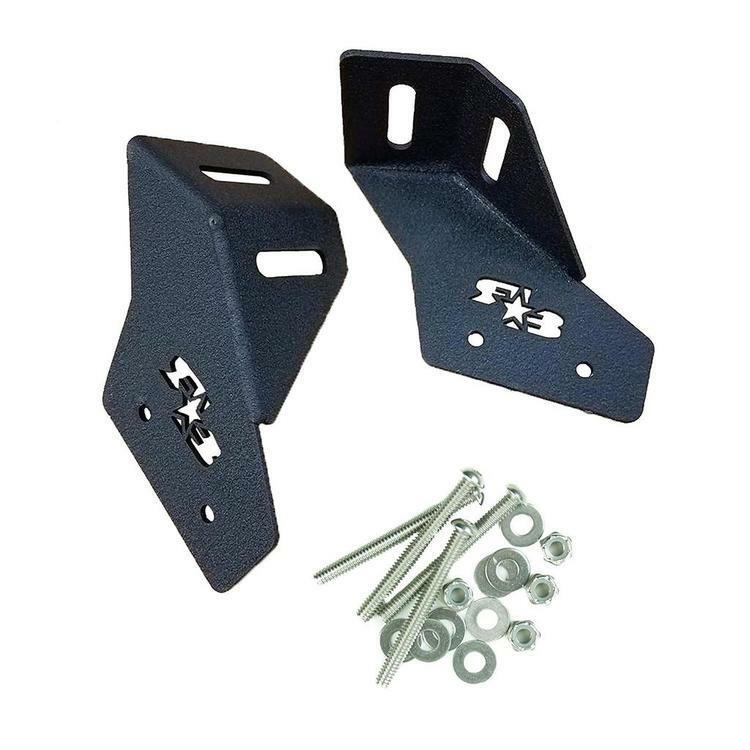 Front and Rear Mud Flaps/Fender Extensions are designed to add more coverage and protection when running the OEM fender flares. 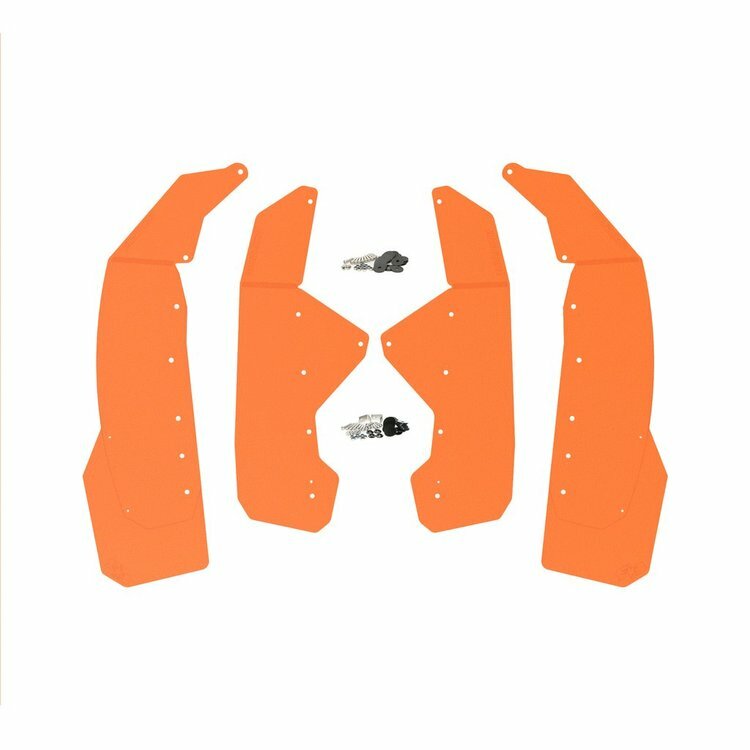 The lower portion of the front mud flap is removable for reduced chances of pinching in extreme rock-crawling situations while still providing excellent wheel spray protection. This piece can also be chosen in a different color from the main flap to give a pop of color and a bit of personalization. 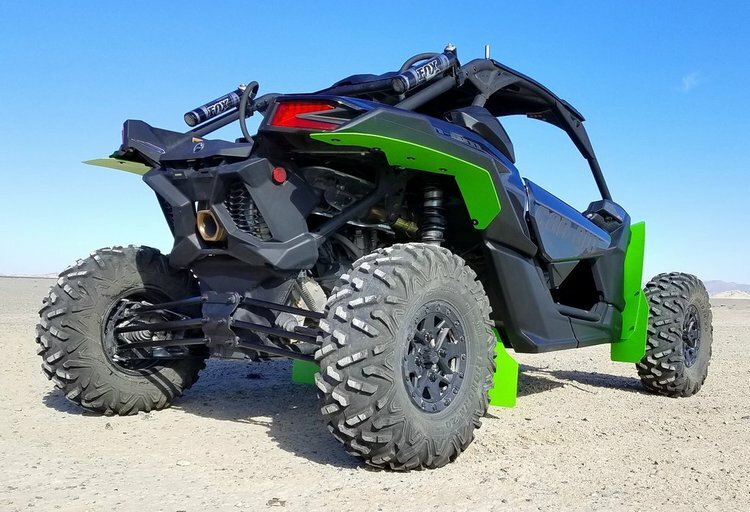 Can Am Maverick X3 Fender Extensions are CNC laser cut from a proprietary material specifically engineered to endure the harshest environments. The unique blend of polymers in our fender extensions give them the specific characteristics that make them highly effective at protecting your Maverick X3. Specifically the combination of extreme durability, flexibility, light weight, and rigidity that all come together to allow the flaps to extend out from the fender's edge enough to be effective, to hold their shape at speed, and to block the most damaging kinds of tire spray. 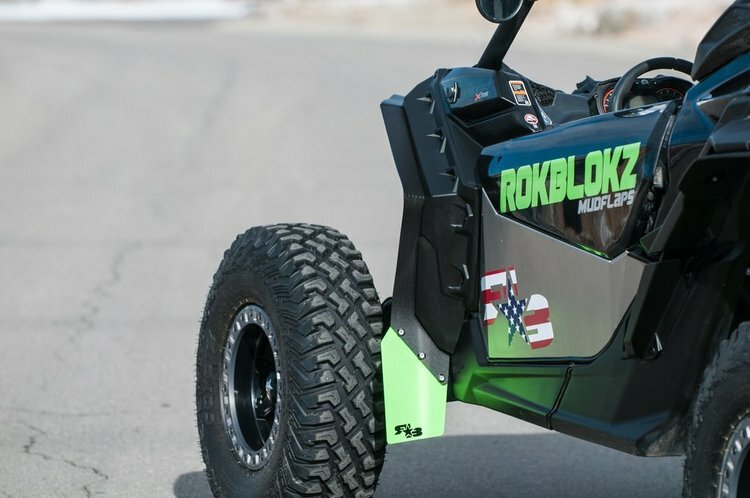 Rokblokz mud flaps can bend, flex, give, scrape, and drag without breakage. 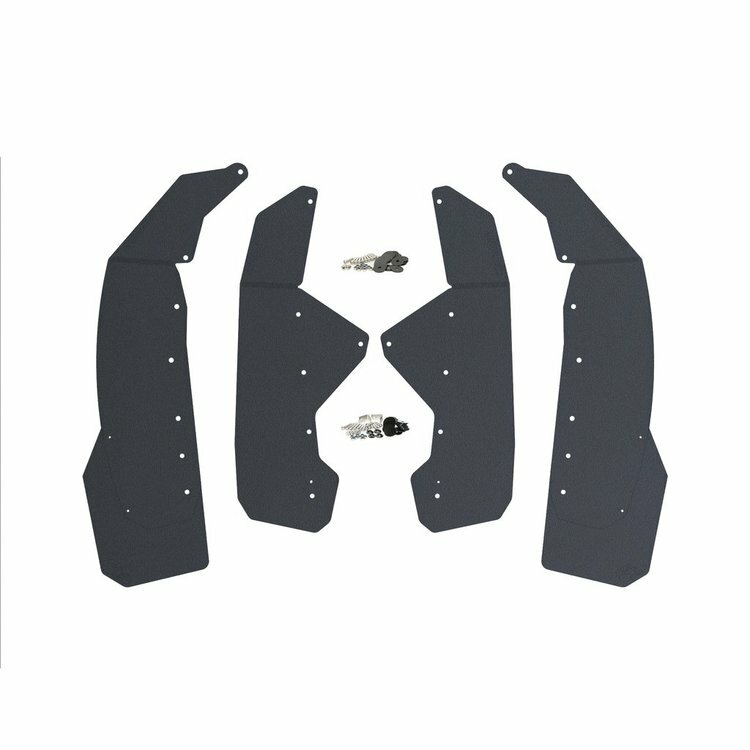 Our Maverick X3 mud flaps can survive in the harshest environments from the extreme desert heat to extreme mountain cold. 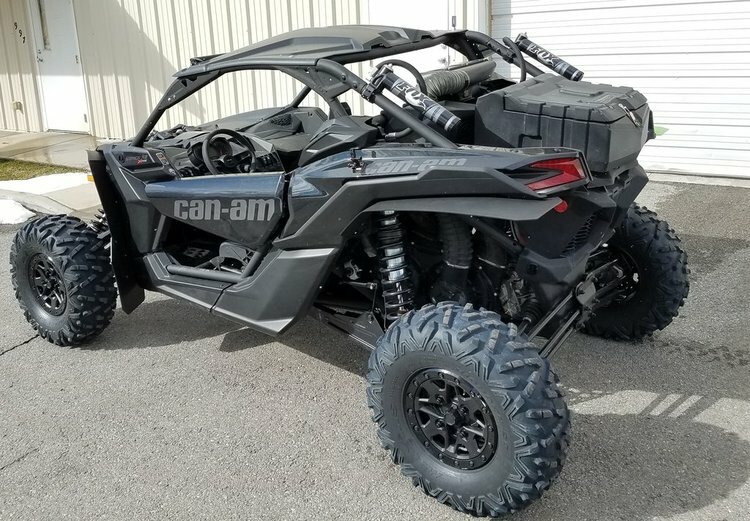 Fits the 2017+ CanAm Maverick X3, X DS, and X3 X RS. ROKBLOKZ MUD FLAPS/FENDER EXTENSIONS come in full sets of 4 Flaps/Fender Extensions (for the FRONT & REAR), stainless steel and rust resistant mounting hardware, and mounting instructions. Mud flaps are available with lower accents in BLACK, LIME GREEN, RED, DEEP BLUE, BRIGHT BLUE (matches X RC model), PURPLE, WHITE, GREY or ORANGE. ***Our RED is more of a "COKE RED" and doesn't match CAN-AM'S RED at all. In fact it clashes pretty bad. Looks great on the TRIPLE BLACK machines though. Our ORANGE is very orange and also doesn't match the Can-Am colors. ABSOLUTELY NO RETURNS ON THE COLORED FLAPS. 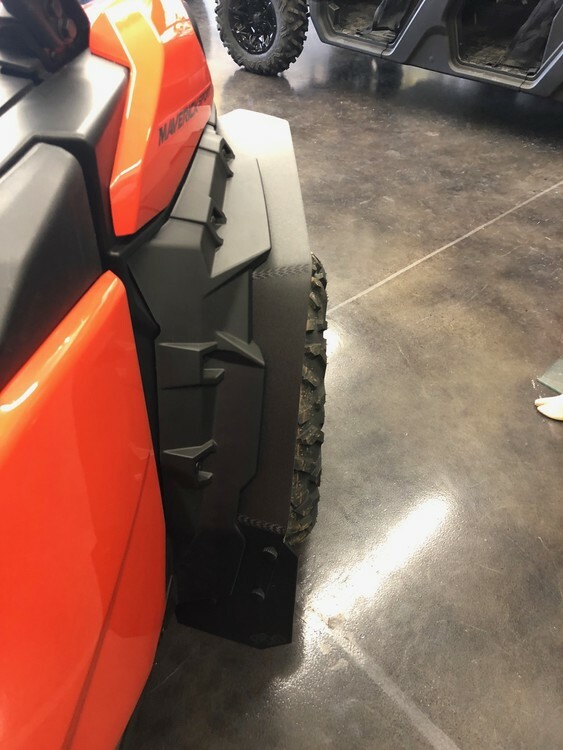 Large Front and Rear Mud Flap / Fender Extension design provides driver and passengers with excellent protection from wheel spray off the front and rear wheels without taking away from the aggressive styling of your Can-Am Maverick X3. Especially up front where the majority of mud, sand, and rocks entering the cabin comes from. 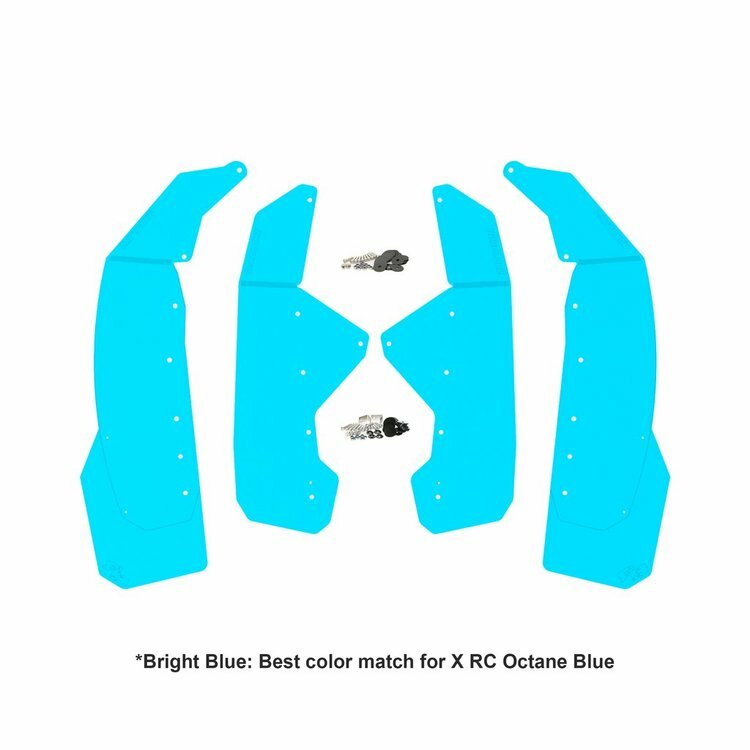 Fits the 2017+ MAVERICK X3 models, including X3, X3 X DS, and X3 X RS, X RC. 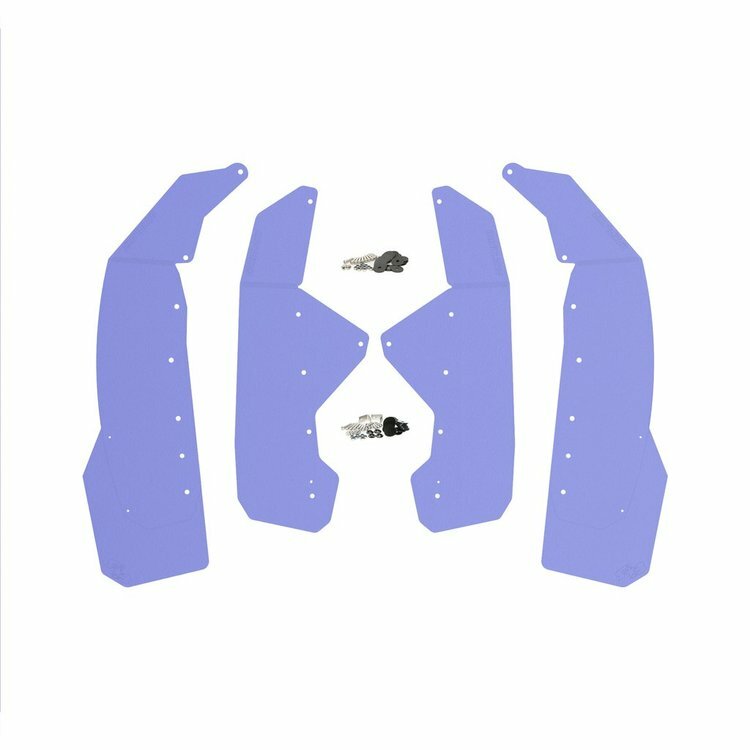 Available with 2 styles of optional Trailing Arm Guards. See fitment guide in the images for more information. Removable front/lower section for greater versatility. 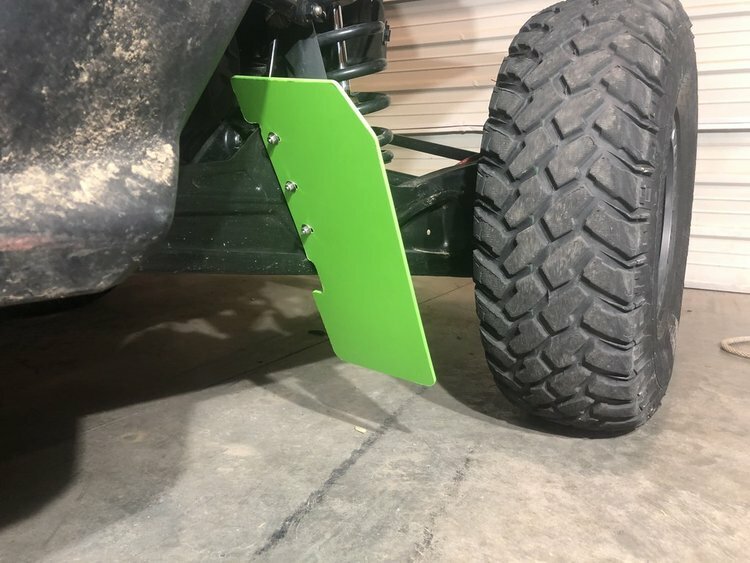 Proprietary formulation specifically designed with the characteristics that make the best UTV mud flaps / fender extensions! Mount using existing OEM mounting locations, (requires drilling 2 holes in the plastic rear fenders).